"An exemplary history of objects, this book is also a global history of the mind. Poskett clarifies the material culture through which ideas about phrenology--and materialism itself--translated and travelled across continents and languages. The freshest history of the strangest science." "In this ambitious and riveting book, James Poskett tracks the global in so many senses: as a category among phrenologists who were concerned with the scales and spaces of work and with the nature of comparison and racial imagination; as a physical possibility among those who transferred skulls, letters, printed text, and casts; as a lumpy and uneven set of links across the span of the world; and finally, as a way in which we talk about our present moment in the historiography of the sciences. It is precisely because Poskett combines all of this globular talk, and because phrenology is such a good discipline with which to range across these globals, that Materials of the Mind should be vital reading on some of the most urgent concerns facing the world history of science." 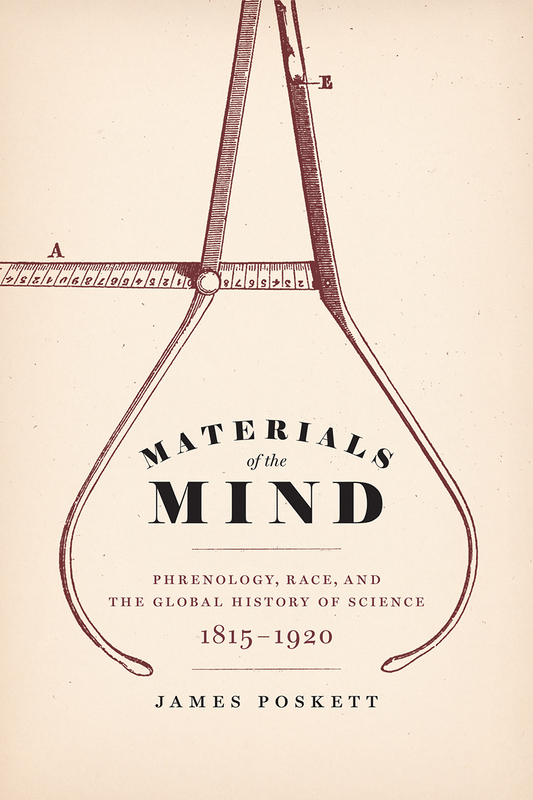 "This terrific book explores the global turn in the Victorian science of phrenology and sets the topic firmly inside the expanding imperial and racial concepts of the day. It shows how the ideas and objects associated with the popular activity of measuring heads circulated across the globe while making a substantial contribution to understanding the universalizing properties of science and technology in history."